Are you planning a Christmas Party? Do you like soft pretzels? 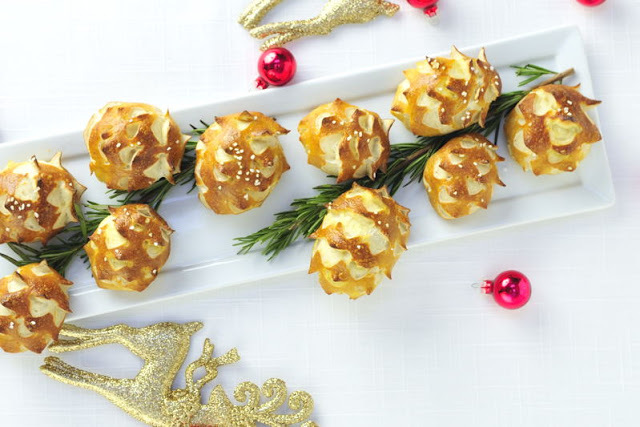 How about making these fun, festive and delicious appetizers for your Christmas party, they are easy to make and make for a beautiful presentation. What do you say? 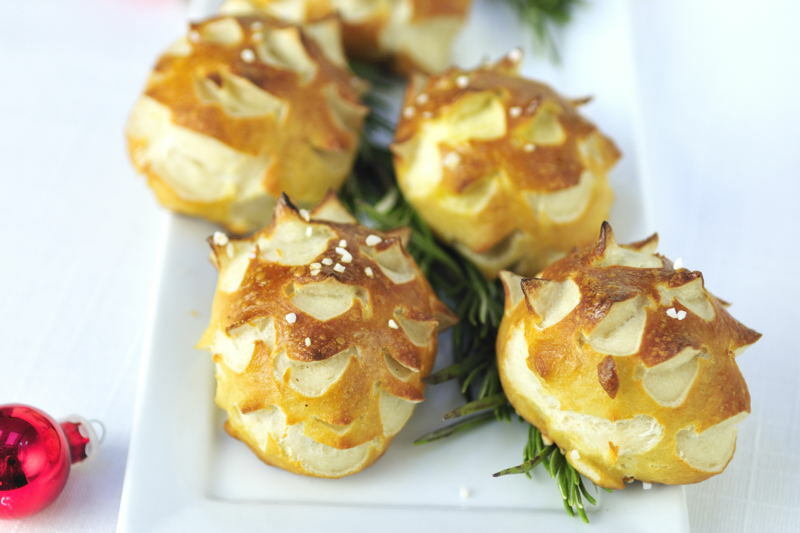 Here is how to make festive pine cone soft pretzels. Use the recipe for Soft Pretzels. 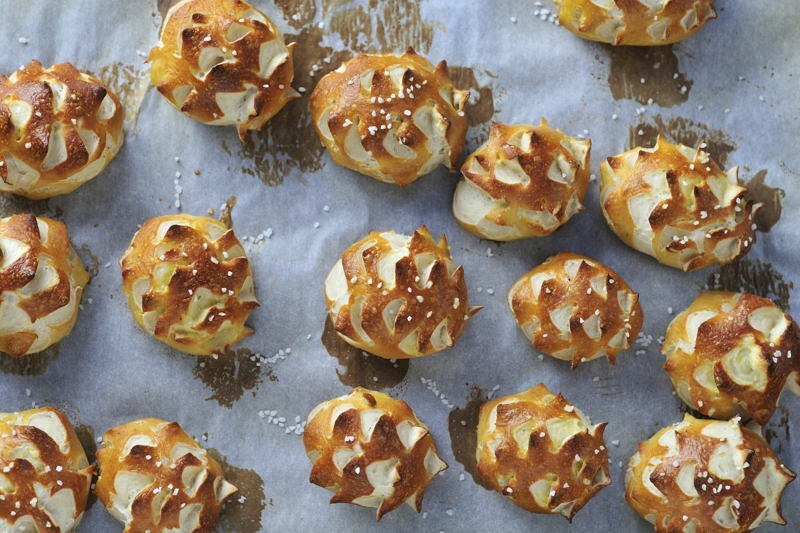 I’ve posted this recipe few times so here is a recipe for soft pretzels previously posted with a picture tutorial. 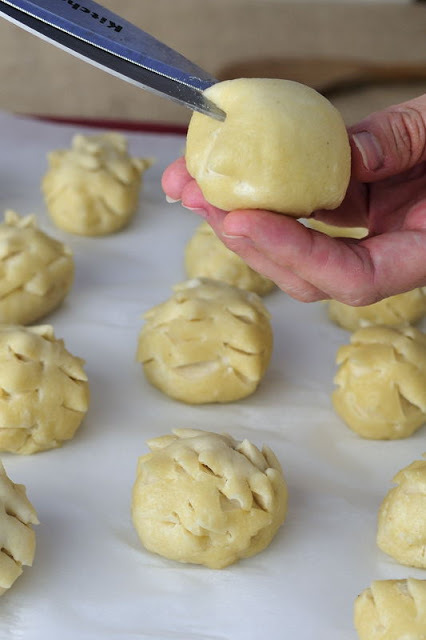 Just follow the direction up to the point where you form little balls/rolls, and process them in the baking soda solution. 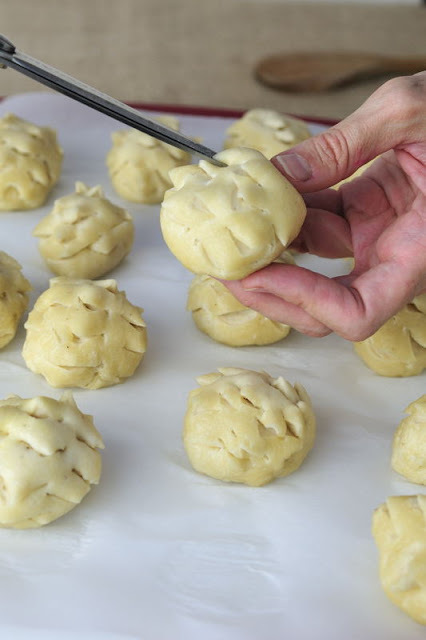 Process dough in the baking soda solution- this is a must for making soft pretzel, don’t skip this step. 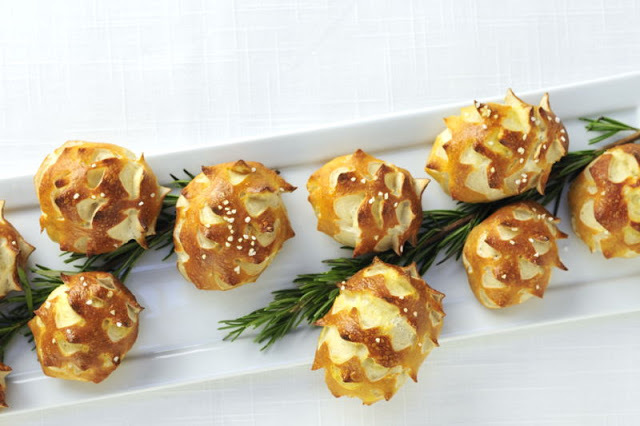 Now we’ll make the rolls look like pine cones. Using Kitchen Shears snip each ball several times, starting at the end of the roll, with just one cut, gradually adding more cuts as you progress, in circular direction towards the other end. Bake as directed in the recipe, brushing sparingly with egg wash before baking and sprinkling with pretzel salt. Use fresh rosemary springs for the “pine tree” branch, position baked pine cone pretzels on the rosemary creating a festive look. 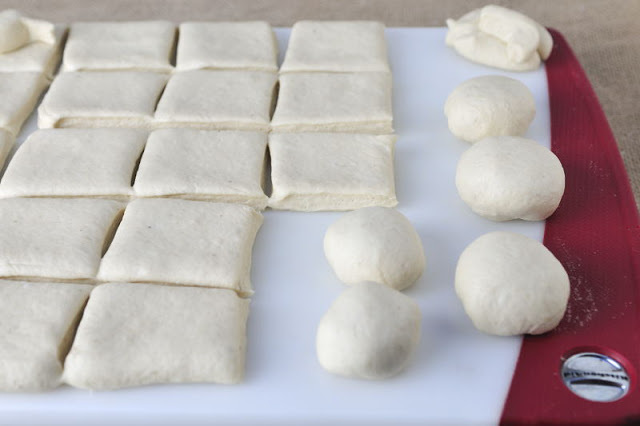 After you process rolls in the baking soda solution, transfer them onto a baking sheet lined with clean parchment paper and start snipping away. 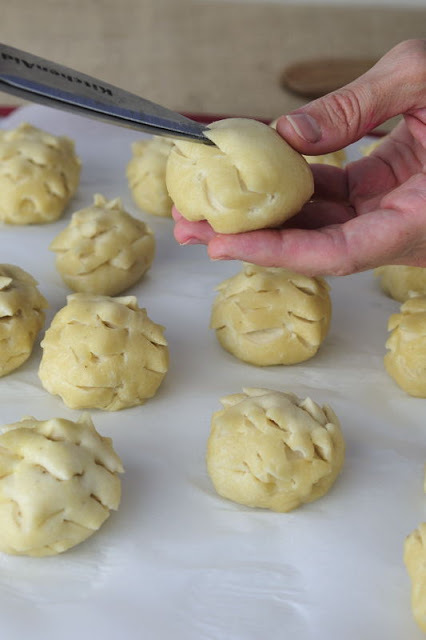 I case you are wondering, I haven’t tried this with dinner rolls, but I’ll probably will really soon, so stay tuned for updates on these. Let’s enjoy the Christmas Party. Linking to Tidy Mom – I’m Lovin’ it.